Wow. Woodford Folk Festival happened so long ago! And we thought it was SO wet! Well, SO much has happened since then and I’ve not told you anything here! I have honestly felt too exhausted to write anything outside of the social networks. That’s right. It seems I have managed quite a number of 140 character updates and not much more. Oh, sure; there were the first couple of reviews for Briztix but that’s all. But it was a great way to finish today. Today, we did our daily pick-up from The Chopping Block in Buderim, of all the things that had been donated since yesterday, by the beautiful people of The Sunshine Coast. Our immediate region has suffered very little in the recent floods and the peeps here have had a lot to give to those less fortunate. In fact, Queenslanders generally, have been so generous that the evac centres and many of the charities have had to ask that people offer no more donations of clothes! I can only assume that this is because they have made space for people and not for their Carrie-esque closets of clothes, which is entirely possible to imagine, given the masses of clothes going begging all over this water-logged state. We all understand how vital it is to donate dollars so we’ve all done that: online, at our preferred grocery store and everywhere else as well but so many peeps feel the need to do more. Maybe they feel the need to make it a more personal effort. Or maybe they missed their Spring Clean and figure they should seize the opportunity to cull their wardrobes and linen cupboards! We seized the opportunity here, to put together a heap of care packs, which local dance teacher, Lea-anne Grevatt, named Happy Packs. It’s not a new idea (we did a similar thing for the Victorian Bushfire relief effort) but it’s a great one and I loved the new name and the whole idea; to send some flood affected families a few “treats” as well as essentials, that would make their life a little easier and a little brighter. We even covered the first 20 packs in shiny giftwrap! Still, it has baffled me that people have had to ask, “What do they need?” My reply has been the same to everybody. If YOU lost everything, what would YOU need? That’s right. EVERYTHING! Well, eventually; everything you had before (although it’s always amazing to realise just how little it’s possible for us to live with, isn’t it)? I wonder if people who have lost their homes and all their belongings turn very zen or if they become hoarders…I guess everybody responds completely differently. 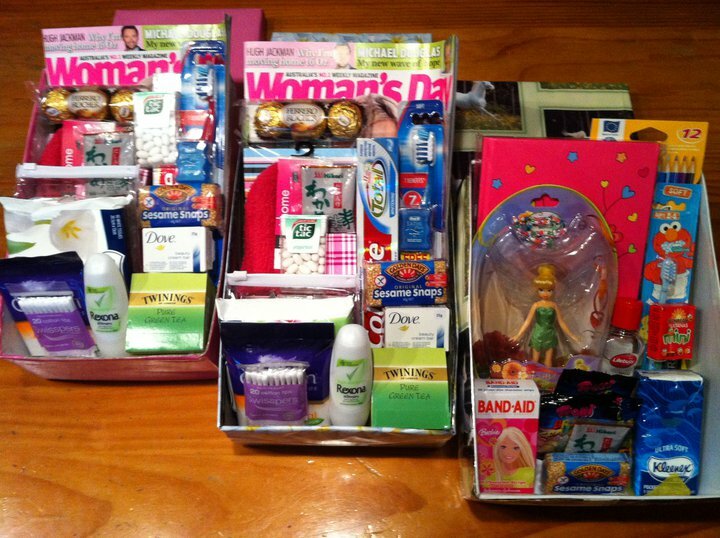 Just heard from my friend who delivered the Happy Packs to families in need in Ipswich. Thank you so much to Lea-anne Grevett and all the wonderful people on the Sunshine Coast who have donated to these packs. The Red Cross have said this morning that donations of toiletries and food are really needed in the Ipswich area. Families have lost everything and have no income for these necessities. The families who received the packs were over whelmed that people from so far away cared enough to help. Whatever it is that inspires us and motivates us to give, it means that there are all sorts of goods just waiting to be given! People everywhere are collecting stuff and delivering it to those in need. Jane, in Chancellor Park, is sending a truck to do round trips, with the masses of stuff that has been delivered to her collection centre. Some have set up their own forums or databases online, in order to match up items with people. This requires enormous commitment and organisation! Tracie is doing an amazing job just via Facebook, with her own little charity for Brisbane (Brisvegas – Brisvenice – Brislantis), the Stuff You Then – Suburban Friends Helping Flood Affected Families Facebook page! She set it up in direct response to the NO MORE CLOTHES plea from local charity groups. They simply need more time and space to sort and send off donations. She (and her “Stuff You Then Angels”) have both to offer. So we’ll get back to Woodford another time. 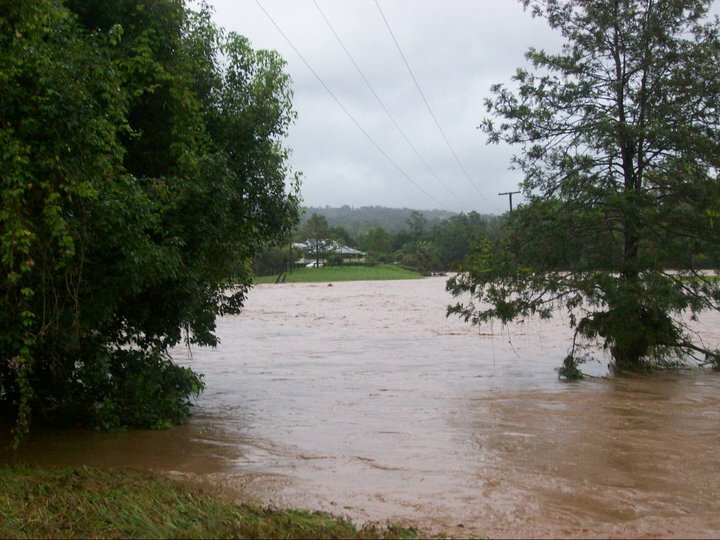 The same Woodfordian qualities have been exhibited by Queenslanders everywhere, in the aftermath of the flood disaster. The same enthusiasm, energy, spirit and simple joy in offering whatever they have to give and, since yesterday, the quiet pride working alongside one another to get a tough job done. Today XS Entertainment moved mud and sludge out of Drift, a river restaurant and cabaret venue that I have mentioned in previous posts, and we also pulled up floors that cannot be salvaged. In fact, barely anything can be salvaged, as the river rose almost to obscure it and has left only destruction in its wake. And tins of coconut milk. And most of the grog intact! And the crockery that was once pristine white. 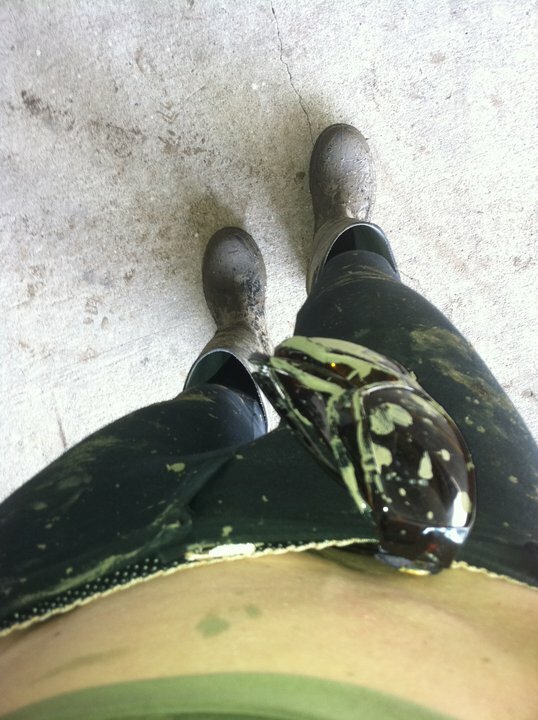 Today, it was difficult at first, to tell what a lot of the stuff was, so covered in mud was most of it! But many (I’m guessing about 200) friends and fans of the venue turned up in their wellies, with brooms and mops and buckets and shovels at the ready, to help begin the big clean up. Being a part of that selfless group of vollies today has restored my faith in humanity. It’s heartbreaking to see the damage that has occurred but so heartening to see how many people care enough to get out of their own home to help others re-build their businesses and their lives. We saw it everywhere, including right through Auchenflower and Toowong because traffic was gridlocked due to so many road closures and we were forced to take the scenic route in order to get to the restaurant! Volunteers will be back there (and at other venues and at other businesses and at other homes) tomorrow. And the next day. And the next day. And for many days, weeks and months to come. It’s been noted several times now, in the media and across the social networks, that the volunteering cannot stop. Those affected by the floods will need our help for months and month…so find a way to help – any way to help – and keep helping. 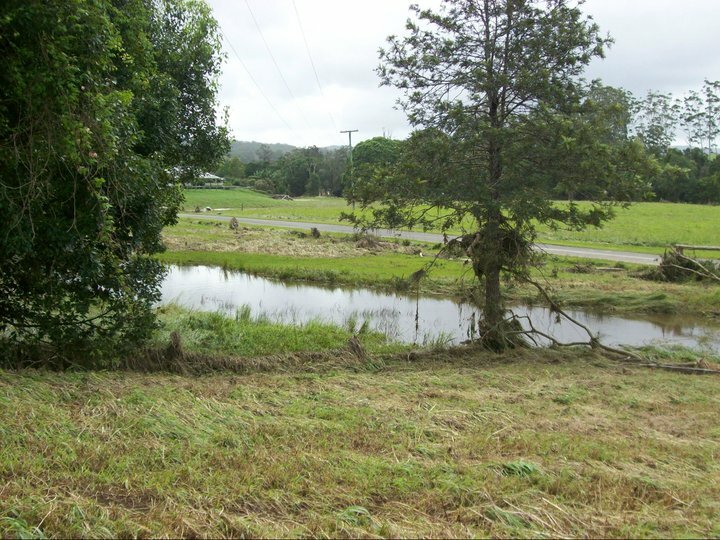 We will be re-building fences in Dayboro tomorrow and we will be back at Drift on Monday. We will keep packing and delivering Happy Packs just as long as people keep donating goods…in fact, our headquarters are about to move to a larger, air-conditioned space with new, energetic helpers!